Drag and change the date range on the CFD you see at the bottom of the screen below. See the charts change dynamically as you modify and drag the filter. Switch between the various tabs to see the various aspects of your data. Select from a range of filters based on your data attributes. 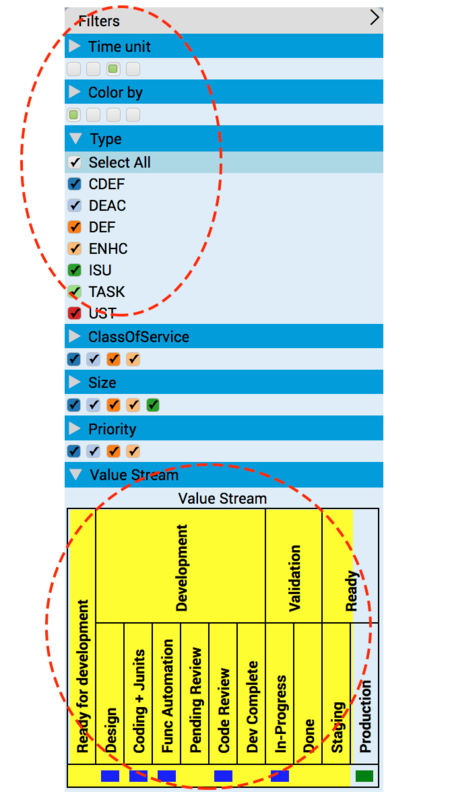 Narrow down the workflow stages (value stream stages) to analyze specific portions of your flow and get valuable insights your data is providing you! Ready to give Swiftly a try?